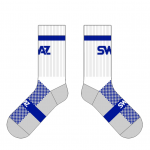 The SWAZ Crew Socks are a high-quality sock, perfect for training sessions or as a part of a side-line outfit. 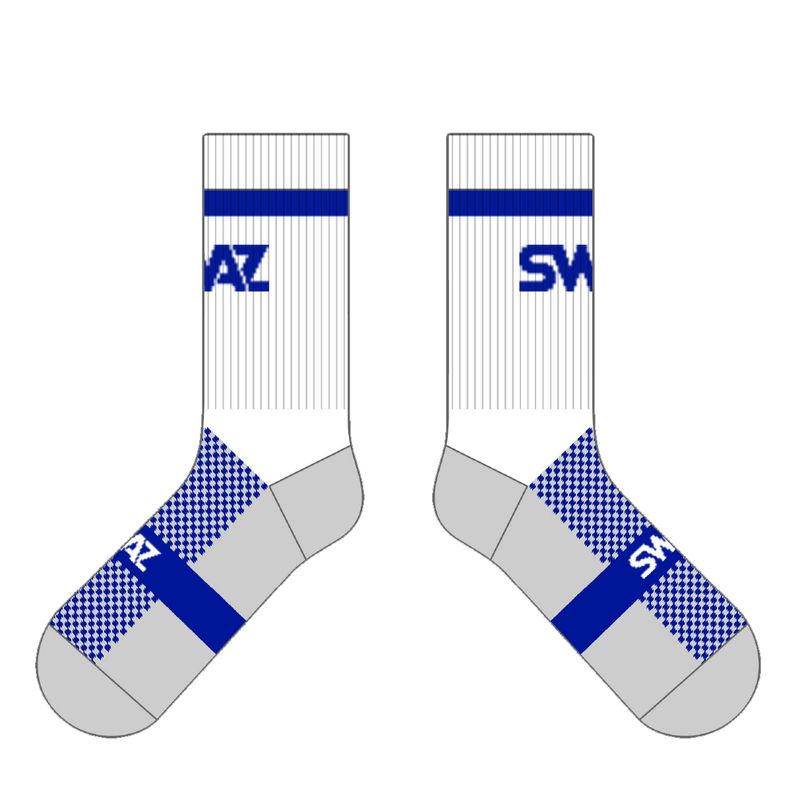 The SWAZ Crew Socks are made from long-lasting materials created for comfort and durability. It’s ribbed ankle design and breathable cotton and polyester fabrics, works to assist performance levels. The colour shown is white/royal.